While Civil Society Organizations (CSOs) have long played critical roles in supporting immunisation services at national and global levels, their role in Gavi expanded six years ago to better tap the knowledge and influence of CSOs around the world. Since that time, the Gavi CSO Constituency has grown to over 4000 CSOs in both the global North and South. Today, CSOs participate in all aspects of the Alliance including in the governance structure through a seat on the Gavi Board and representation on the Program and Policy Committee and the Governance Committee as well as in ongoing task teams. The development and release of the Civil Society Call to Action at Gavi's Partners’ Forum in November 2009 in Hanoi, Vietnam, marked the beginning of a major effort to organize and formalize civil society’s role as an Alliance member. The Constituency Steering Committee was formed in early 2010 and the charter developed and approved later that year. In October 2010, the Steering Committee elected its first chair and vice-chair. A few months later, CSOs played a key role in the Alliance’s June 2011 Pledging Conference, issuing a second call to action in support of Gavi which garnered hundreds of institutional signatories. In addition, two CSO representatives spoke at the conference, alongside the United Kingdom’s Secretary of State for International Development, Andrew Mitchell. When the dust had settled, civil society had helped the Alliance to raise $4.3 billion in pledged support. The Gavi CSO Constituency played an equally important role in Gavi's 2015 Pledging Conference, hosted in Berlin, Germany by the German Government. There were a number of high-level CSO speakers at the event, including Dr. Asha Mohammed of the Kenyan Red Cross, Chair of the Gavi CSO Country Platform in Kenya. Civil society engagement with Gavi is an evolutionary process; our perspectives are increasingly sought by the Alliance and our contributions acknowledged. The Gavi CSO Constituency has been a lead implementing partner on increasing CSO engagement in immunisation and health systems over the past five years. We have done so by creating and strengthening local CSO platforms for immunisation and health systems in 25 Gavi-eligible countries. The platforms work side by side with governments, the World Health Organization, and the United Nations Children’s fund as well as many other in-country partners. 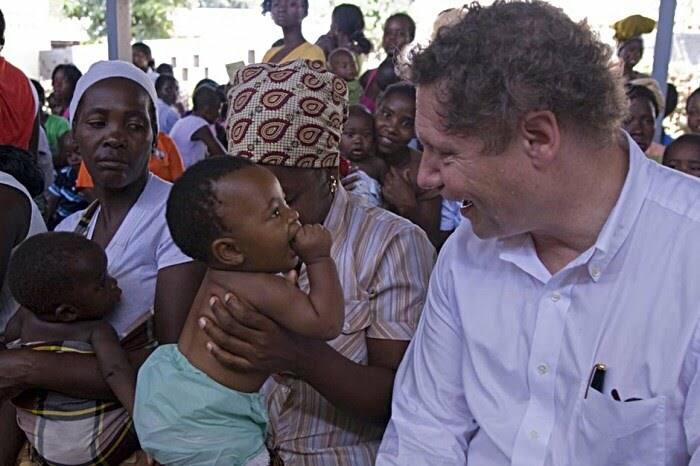 Dr Seth Berkley, CEO of Gavi, the Vaccine Alliance in Mozambique.